West Coast Haulage of Dyffryn Business Park, Caerphilly, choose Keltruck to supply ten ’11’ reg vehicles to their fleet. The deal was made between Simon Rogers, Account Manager of Keltruck and Pat Sexton and Don O’Donavan, Managing Directors of West Coast Haulage. The vehicles delivered were P405CB8X4MNZ and were purchased as new additions to their 40+ Scania dominating fleet. When asked why he chose the specific model of truck, Pat Sexton, Managing Director of West Coast Haulage commented, “These specific models were chosen because after fourteen years in the business they have proven to be the best for our work”. Pat continued also, “we were looking to expand our fleet and keep up with Euro 5”. 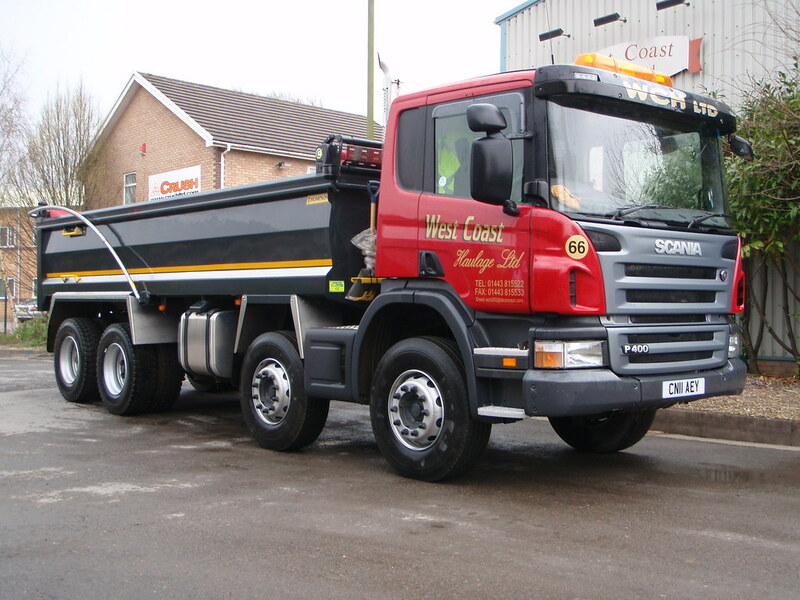 Established in 1997, West Coast Haulage have been a loyal customer from their very first year. Their target markets are major construction companies such as Costain, BAM, Carillion and Walters Group.